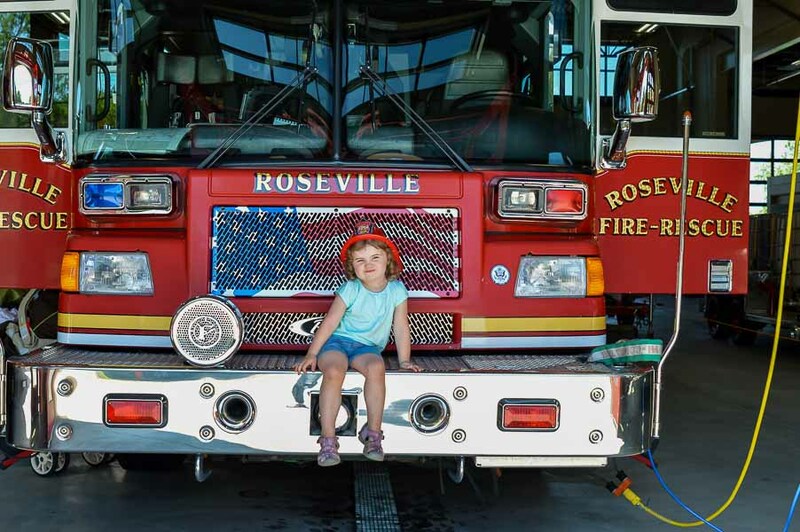 On the second and fourth Fridays, the Roseville Minnesota Firefighters have their trucks and equipment out for anyone to explore. 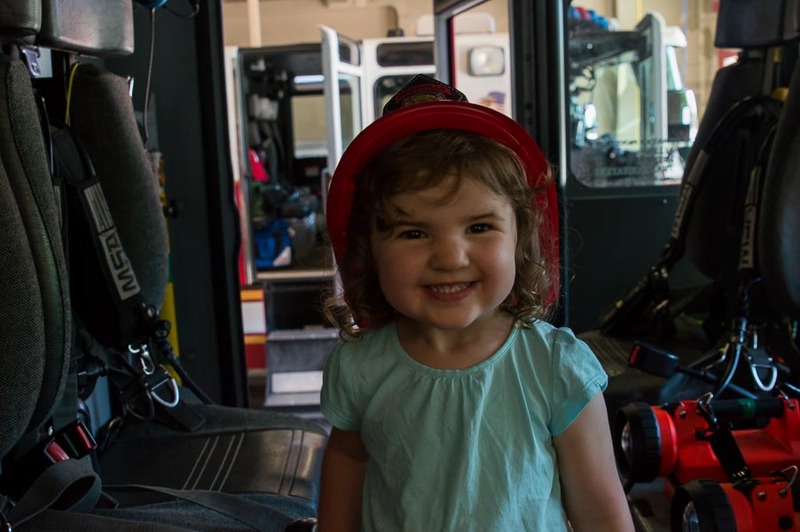 They even let young ones hold the fire house that sprays water and try on their super heavy gear. Brooke and I climbed in all the trucks! More information here.